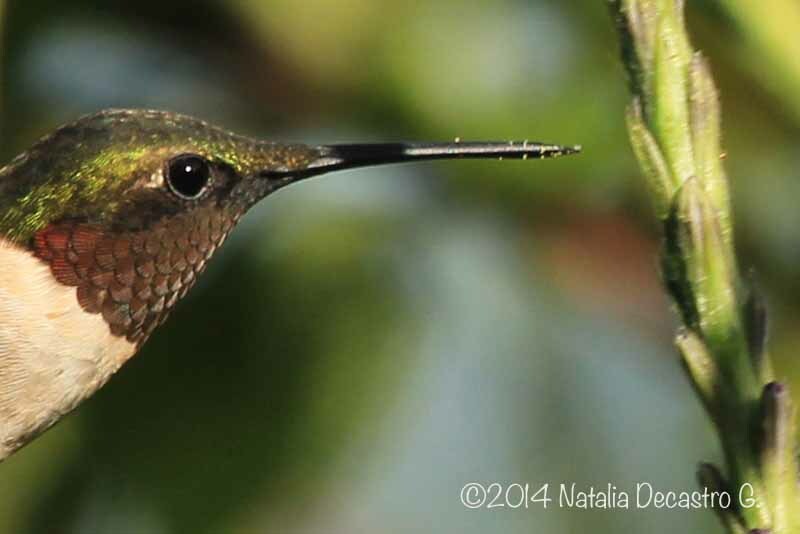 A couple of days ago we had a visit from one of our rarest migratory birds, the Ruby-throated Hummingbird. This bird is very rare for the Western Caribbean Slope, where we are located. Very few reports have been made for this species in this part of the country. 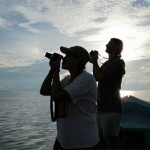 There are more reports for it as a rare migratory species for the Western Pacific Slope of Panama. This time we got to see both a male and a female. Ramon saw a male exactly one year and 2 days ago. Last year was the first time we saw this hummingbird in this part of the country. This little visitor is one of the many migratory birds we are seeing now. So far we have seen the male each day for almost a week around the same general area. 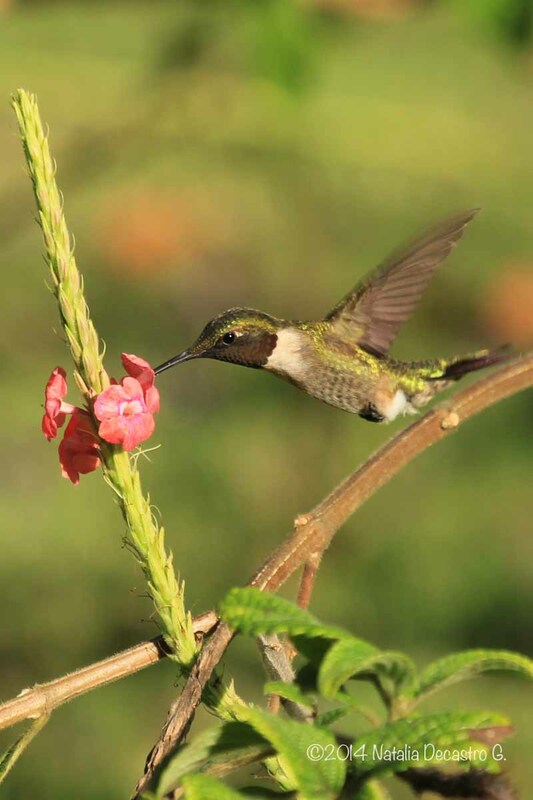 This entry was posted in Birding, Bocas del Toro Panama, Panama Trip, Photographs, Western Caribbean Slope and tagged Migration, Ruby-throated Hummingbird by Natalia. Bookmark the permalink.